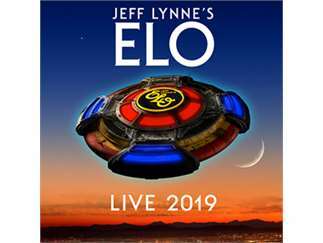 After returning this summer with their first extensive North American tour since 1981, Jeff Lynne's ELO is set to bring their outstanding live show to even more audiences with a 20-date summer 2019 tour. The trek, produced by Live Nation, will travel to Van Andel Arena on Tuesday, July 23, 2019 at 8:00PM. Known as one of the most iconic forces in music history, Jeff Lynne's ELO has spent the last two years with a critically acclaimed and chart-topping album, a sold out run of UK and European shows, as well as an induction into the Rock and Roll Hall of Fame. The band has always been known for their epic live shows and with a distinct style that seamlessly and innovatively blends rock, pop and classical, ELO has had more than 20 Top 40 Hits across the U.S. and the U.K., making Lynne's sweeping productions some of the most recognizable music of the last forty years and helping sell over 50 million records worldwide.